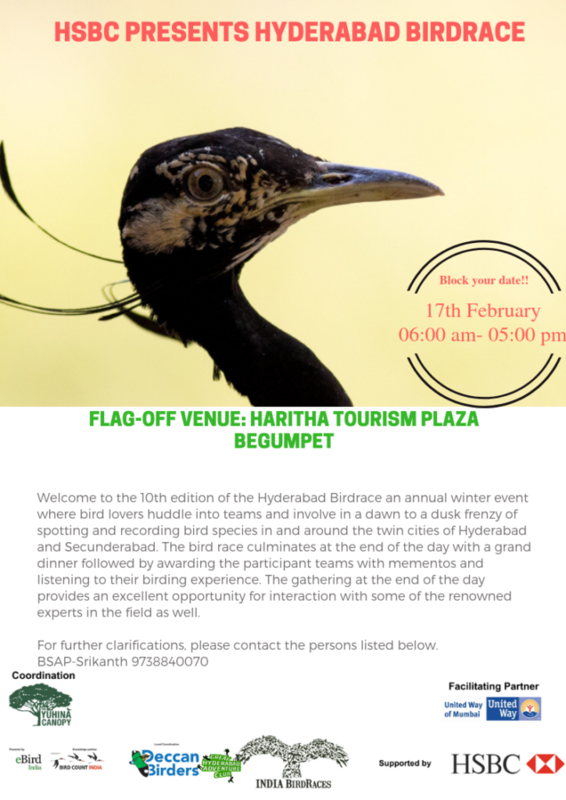 Attached below is the first detailed announcement for the HSBC sponsored, India BirdRaces, being conducted in Hyderabad. I request you to peruse this carefully and register yourself online at the earliest. Looking forward to your active participation.